David was born October 28Th 1999 in Chicago IL. Son of Jennifer Schreck Krupa (Endoscopy Technician) and David Krupa Jr. (HVAC technician). 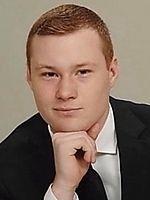 He graduated from Fenwick High School recently and has been accepted to DePaul University where he will be studying political science and business. David also plans on attending law school in the very near future where he plans on utilizing his education to better the lives of the people in his community.